The Chinese government is urging its AI companies to step up to the plate and “dominate” the field. The Chinese e-commerce giant Alibaba has already invested gigantic sums in AI resources and research. 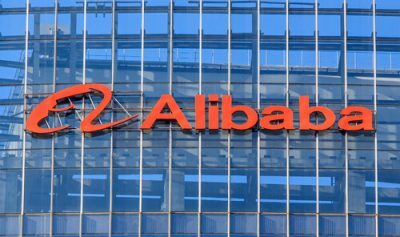 Many believe that Alibaba is looking to build tools which would allow the company to challenge global technology giants such as Amazon and Google. Readers who have been to Shanghai will not need anyone to push them to remember its frenetic subway station. And what about those ticket kiosks that seem to have a separate mind of their own? All that a traveler has to do is to find the courage to walk up to one of these ticket kiosks. Then, after the traveler has stated the desired destination, the kiosk will go ahead and recommend the best route automatically. It will do that before it issues a ticket. Shanghai subway ticket kiosks even have the ability to check the traveler’s identification with the help of nothing but the traveler’s face. Remember that providing one’s identification, as far as China is concerned, is a necessary step. Additionally, since it is in everyone’s interest to reduce the chances of a rush-hour stampede, Shanghai ticket kiosks have systems in place that can allow the traveler to buy tickets after finding the right information without the push of a single button. Needless to say, the travelers don’t even have to talk to anyone to book a ticket. And that is not even the most impressive part. The most impressive part is that all of this takes place without any problems in the middle of a noisy and crowded station. What does that mean to these automated ticket kiosks? It means that each and every ticket kiosk will have to come up with a way to figure out problems such as who is actually talking to it. After that, the ticket kiosk will have to zero on the traveler’s/person’s voice while the person stands within the crowd. When that is done, it has to find a way to take that incoming speech and then transcribe it. The next step is to parse the meaning of the incoming speech. After that is is just a matter of comparing the traveler’s face against its database. This database contains tons of photos. In other words, it is huge. The ticket kiosks such as those at Shanghai’s subway station have to do all of that in a matter of few seconds if not less. So how do ticket kiosks do it? And, of course, not make any mistake? Well, in order to carry out all these responsibilities without much error, ticket kiosks in Shanghai make use of multiple cutting-edge machine-learning techniques and algorithms. Perhaps the most interesting part of the process is not with the machine learning algorithms themselves. The most interesting thing is where do these machine learning algorithms reside. As mentioned before ticket kiosks have to do a ton of things very quickly. For that, these ticket kiosks need massive speech recognition and image processing resources. As it turns out, ticket kiosks rely on cloud computing systems to serve them all the information that they need on demand. And who owns this cloud computing system? Alibaba, the most successful e-commerce and technology company in China. This takes us back to what we said at the start. 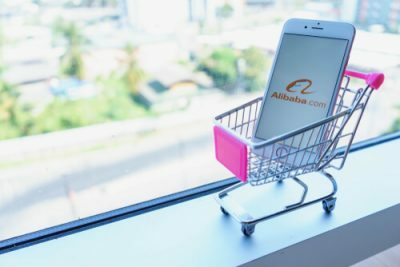 Alibaba has already taken the initiative to use machine learning and Ai in order to optimize the company’s supply chain along with personalized recommendations. It also uses machine learning and artificial intelligence to build products such as Tmall Genie. It is a home device that works pretty similarly to what we know as Amazon Echo. But Alibaba is not the only player in town. In other words, China has two other technology supergiants in the form of Baidu and Tencent. And just like Alibaba both are just pouring money into areas such as artificial intelligence research. The Chinese government has already made plans to build an entire artificial intelligence industry which would become as big as $150 billion by the time 2030 comes around. To make sure that it succeeds in its objectives, the Chinese government has called on all the researchers in the country to try and dominate the field before 2030 comes around. Of course, Alibaba has its own ambitions. The company wants the leadership position when it comes to offering cloud-based artificial intelligence. Now, readers need to understand that cloud artificial intelligence, or cloud AI, is a different product from cloud computing (examples include Amazon Web Services) and cloud storage (examples include Dropbox). But all of these products have one purpose. That purpose is to provide anyone who has an internet connection and a computer machine with powerful and robust resources on the cheap and of course, readily available. Such services will enable completely new kinds of companies and businesses to grow out of nothing. No matter what the press says about EU and India, but the fact remains that the real AI race is between the United States and China. More specifically, the AI race will be between all the big cloud service companies of both these countries. All of these big technology companies will do everything in their power to vie to become the first-choice provider of AI cloud for cities and companies who would want to utilize AI to improve their situations. With that said, it is true that if one looks at technology giants in China such as Alibaba, there is no doubt about the fact that China’s technology giants are more than ready to not only compete with the likes of IBM, Microsoft, Amazon, and Google but also overtake them in serving up artificial intelligence products on tap. So the question of which of these companies will dominate the AI industry is a very important one. Because the one who will dominate this space will have a big say in how a technology such as artificial intelligence evolves and how do customers use AI-enabled products. Jack Ma is the founder of Alibaba Online. He created a pretty simple e-commerce marketplace. Ma did that back in 1999 in Hangzhou (which lies on the country’s east coast) from his apartment. Today, Alibaba’s headquarters are a sight to behold. The company’s headquarter consists of multiple huge buildings that house workers in the thousands. Alibaba guards the front entrance of its headquarter with its cartoon looking orange mascot. Except that the mascot comes in the form of a gigantic robot. No matter how much Alibaba expands into other industries, it is still, by and large, an e-commerce company. In other words, the company’s core business is still selling different types of goods and also providing a streamlined platform for all types of business-to-business trade. Alibaba has found a lot of success in providing these services. As a result, the company’s success has also managed to spawn various other lucrative operations. 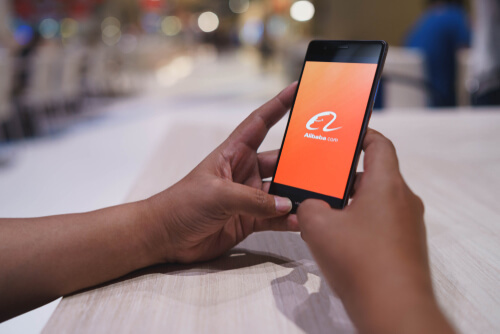 Alibaba also happens to have a mobile payments app called Alipay. And if we’re only talking about China here, Alipay has become ubiquitous. 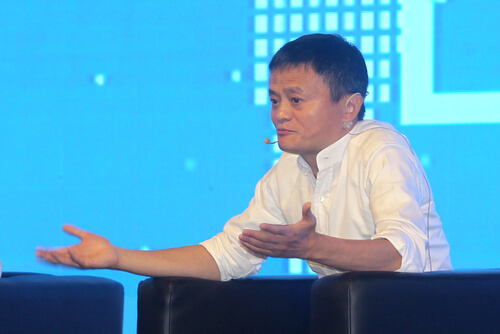 The other thing that most readers don’t know is that Alibaba doesn’t run Alipay. It is one of Alibaba’s sister company. The Chinese population fervently celebrates Singles Day every year. It is a shopping event. And Alibaba is the company that invented it. Last year, Singles Day took place on November 11. On that single day, Alibaba managed to merchandise that was worth over $25 billion. On contrast that with what people have in the US, Cyber Monday. Last year Cyber Monday took place on November 27th. As far as the United States of America is concerned, Cyber Monday is the largest online shopping day. In any case, on Cyber Monday all the retailers in the US brought in just over $6.5 billion. There is little doubt that Alibaba’s success has not only helped individuals but also cities. The company has essentially shaped the city’s (Hangzhou) vibrant technology scene. Hangzhou is now home to more than a dozen incubators. Most of these incubators get partial funding from the Chinese government in the form of subsidies. These incubators are filled with a particular kind of people. Not only that, most of the entrepreneurs who spend their time in these incubators have previously worked at none other than Alibaba. Alibaba’s founder, Jack Ma, has a colorful personality. But apparently, he does not take any of these successes for granted. Alibaba’s director of technology development, Xiangwen Liu, recently told reporters that Jack Ma, the founder of Alibaba, had a belief. He had a belief that Alibaba found so much success not just because of its business model but also because of its operation and a hard-working talented team. Liu further added that as far as the next era of business and company competition was concerned, Jack Ma’s belief had changed. Now Jack Ma has the belief that a given business model is not enough for a giant technology company like Alibaba to give it any more success. Instead, Jack Ma now has his belief in the latest that technology has to offer. Last year in October, Jack Ma announced that Alibaba had made plans to spend around $15 billion on a research institute within the next three years. The company is calling the new research institute as the DAMO Academy. DAMO here stands for Discovery, Adventure, Momentum, and Outlook. The research institute will dedicate most of its work to developing fundamental technologies. Alibaba’s new research institute also has a Chinese name. The institute’s Chinese name references to Dharma. For those who don’t know, Dharma is believed to be a legendary Indian monk. Stories have it that in the fifth century, it was Dharma who had brought Buddhism to the country we now call China. In today’s world, China has long managed to shake off the country’s reputation as a player who only copied Western innovations. If we believe in a report from the OECD (Organization for Economic Cooperation and Development), China had increased its spending on research and development about tenfold in the period from 2000 to 2016. In 2000, China’s R&D budget was around $40.8 billion. While in 2016, the country’s R&D budget had grown to a mammoth $412 billion taking into account the value of US dollar today. Of course, the United States is still a bit ahead with a $464 billion R&D budget in 2016. However, if one looks at the overall increase in the budget, then the United States’ R&D budget has only increased by 33 percent since the year 2000. China is fast becoming the biggest spender on R&D and most of it is because of Alibaba who is the biggest spender in this department. The company forked out around $2.6 billion last year alone. As mentioned before, the DAMO research institute will help the company to effectively increase its R&D budget over threefolds. That means Alibaba would actually spend $7 billion per year on R&D. Additionally, it will manage to narrow that wide gap between itself and the world’s leaders in R&D. In the year 2017, Alphabet spent around $13.9 billion on R&D. Amazon, its rival in many regards, spent around $16.1 billion on R&D. Alibaba’s DAMO academy will also include a large portfolio of various research groups. However, there is no question about the fact that Alibaba’s main focus is on AI. And for good reason because for now, it looks like AI is the one technology that has the greatest potential among all the other technologies. The 20th century saw the rise of some great commercial R&D labs. And DAMO academy will no doubt take inspiration from those. Liu recently mentioned the example of AT&T’s Bell Labs. Charge-coupled devices for tasks such as digital imaging. Liu also said that the United States’ DARPA (Defense Advanced Research Projects Agency) also provided a lot of inspiration to Alibaba. Specifically, the way it funded (and continues to fund) different teams which competed on a single and same project. 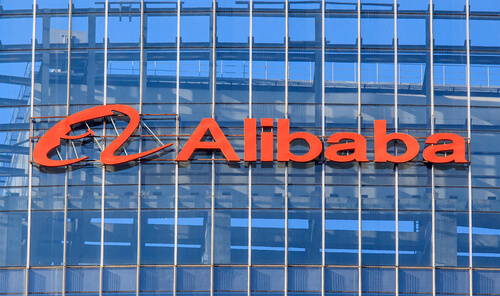 There are many clear indications that Alibaba indeed is starting to learn a lot from US-based technology companies such as Amazon and Alphabet. Just like these two technology giants, Alibaba has released its own version of a cloud machine-learning platform. Alibaba’s cloud machine-learning platform is the first of its kind from a technology company based in China. Alibaba launched the machine-learning platform back in 2015. Then it made huge investments in it to upgrade it in 2017. Alibaba’s machine-learning platform provides users with tools which are pretty similar to what Amazon Web Services and Google Cloud offers. These tools include off-the-shelf solutions that work with image classification and voice recognition. As one would imagine, Alibaba took a huge technical undertaking when it decided to develop all these machine-learning tools. But it only signals how serious and ambitious Alibaba really is when it comes to shaping the future of artificial intelligence. And as alluded to earlier, all of Alibaba’s investments also show how big a role AI cloud and other cloud computing services will play in the very near future. One of the most prominent signals is how Alibaba’s cloud services have no compatibility issues with other technology companies’ machine learning and/or deep learning frameworks. Alibaba’s cloud service supports TensorFlow (from Google) and MXNet (from Amazon). As of now, Deep Learning is indeed the most important and lucrative approach in artificial intelligence right now. It is a technique where researchers train machines how to recognize different things by trying to feed tons of data directly into their multi-layered neural network. Researchers now use deep learning for everything from transcribing speech to controlling autonomous self-driving vehicles. Technology companies have successfully built their own versions of deep-learning frameworks. They have done so partially to bring more users to their own cloud computing platforms. Why would users get attracted to a specific company’s service to use a deep learning framework? Because these frameworks usually give the best performance on these companies’ own infrastructure. But Alibaba has started to support deep learning frameworks that belong to its competitors. What benefit does it get Alibaba? Well, by doing so, Alibaba has given developers all over the world a good reason to make use of the company’s cloud computing platform instead of Google’s or Amazon’s. Believe it or not but that’s not all. Liu has also hinted that the company may also have begun work on developing its very own deep-learning framework. If Alibaba does manage to develop its own deep-learning framework, the company would get a lot of assistance in luring more engineers from around the world to hook to its own cloud services. Reporters asked Liu if Alibaba would release part of the code that it has managed to develop,to which, Liu replied that the company would do so when the code has matured a bit.